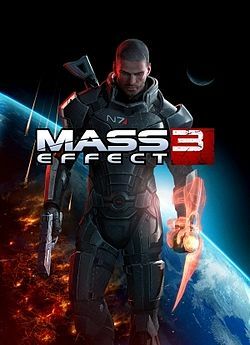 I finally got around to finishing up Mass Effect 3, the third chapter in a pretty amazing series. The first two were great, and some of my favorite games. The sci-fi world and characters really are well done. What really makes the games great are all the decisions that you must make. Though it’s only a video game, some of the decisions you are faced with are pretty tough to decide on. There’s moments where you can save an entire race, but at the cost of another race. What’s impressive is how the game actually has you caring about a silly video game decision. Well done. I recall hearing a lot of complaints about the ending, but I didn’t have any problems with it. I thought it was very well done, and a fine closing to an impressive trilogy. Amazing series and some of the finest science fiction I have come across in a long time. Always a pleasure playing alongside Garrus, Liara, Joker and countless other characters.